Do you work with adobe photoshop?! If yes you will like the adobe photoshop style. Now you can use adobe photoshop style in your windows 7 desktop. Aaron-A-Arts created adobe photoshop theme for Win7. Awesome But it needs a bit work with the white areas. Because the Tutorial in the Read.me doesnt work, so i just gonna use the Wallpaper. Except for a couple of minor issues this theme is great, thanks for sharing it here. Very Good theme. 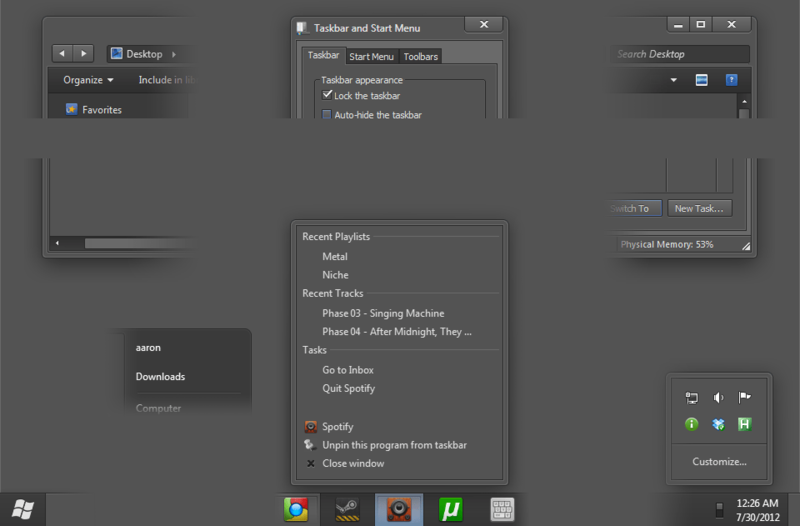 But in control panel (where we uninstall programs) left side wide border is same as always. please make it black also. It’s look beautiful! I hope this theme for WIn 8 version come soon!